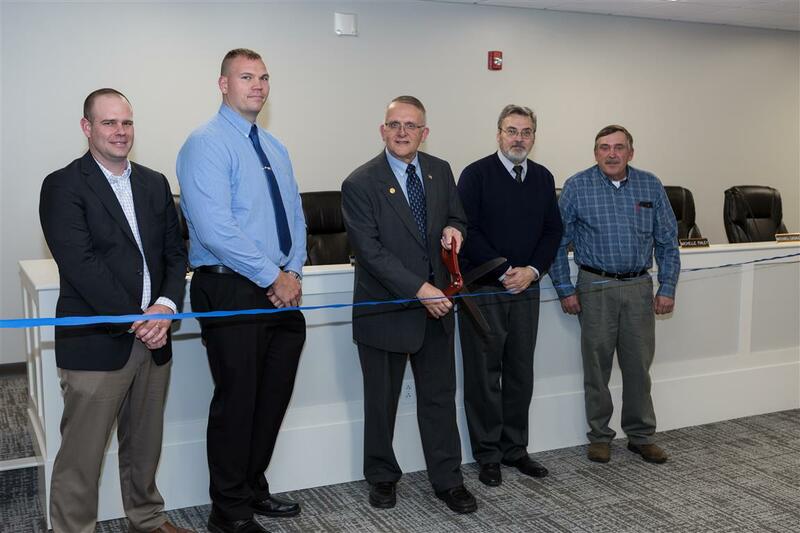 Supervisor Peter Ingalsbe and the Farmington Town Board welcomed several distinguished guests and town residents in a ceremony to dedicate a new Municipal Town Hall facility in the Town of Farmington. 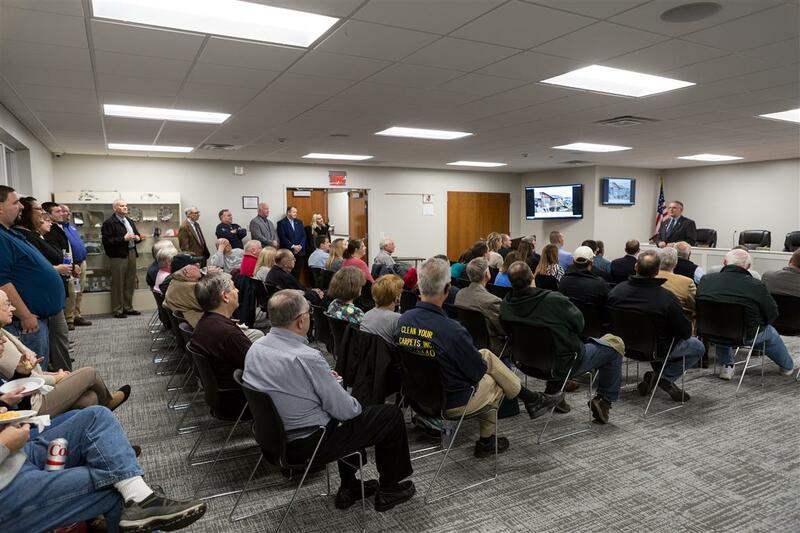 The $1.6 million dollar project, which began in 2016, included an assessment of the existing conditions, programming and concept studies in order to meet space requirements, accessibility needs and relocating all Town Departments on the same main floor level. MRB Group, an engineering and architecture firm specializing in municipal support, assisted the Town in the evaluation, and followed an extensive programming process to determine staff and resident needs. Among several considerations was the pattern of growth experienced by Farmington in recent years, along with increasing demands for Town services. Discussion also focused on anticipating future growth to come, and its projected impacts on the staff. MRB Group’s recommended renovation allowed the Town to remain within the existing facility, but features significant upgrades which better support the Town’s services to residents. MRB Group was responsible for the architectural, structural and civil engineering from pre-design through construction administration for the project. The facility’s design provided many improvements: an enhanced meeting room, enlarged lobby, relocation of codes department to first floor for ease of access, new elevator, new conference rooms, and relocation of offices to maximize efficient utilization of the new space. The building new ADA compliant features include automatic door openers and hardware, an elevator, and accessible restroom. MRB Group’s architecture team ensured long term cost savings with new energy efficient HVAC systems, as well as new exterior finishes that are aesthetically pleasing while being durable and easy to maintain. “Most significant is the fact that the entire project was completed without affecting local property taxes, and utilized members of our own department of Public Works to help cut down on the total overall cost of construction” Supervisor Ingalsbe said. Noting that its construction costs were paid for by New York State Video Lottery Terminal Impact Aid secured by the State Legislature, the Supervisor called the project an investment in community resources. 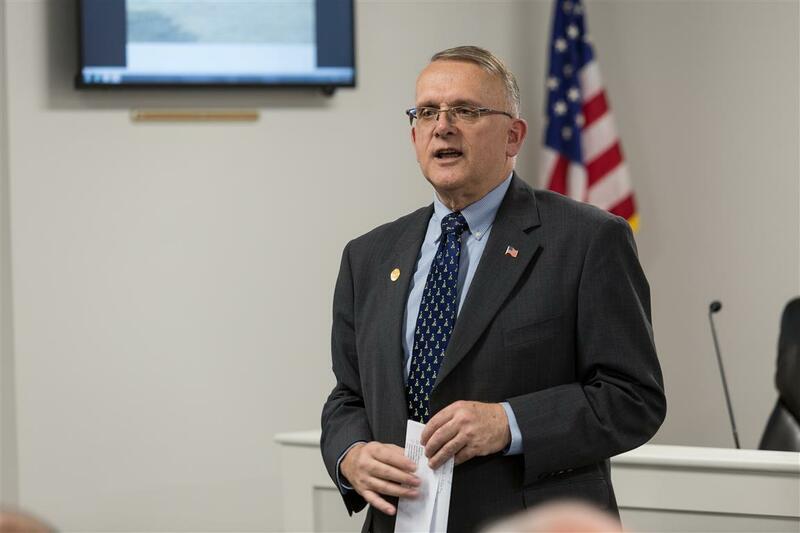 “We’re extremely grateful to our State Representatives who were once again successful in obtaining financial support on behalf of Farmington residents. This is a model project, and we’re proud to demonstrate what VLT funding can accomplish when used wisely,” he said. VLT Impact Aid provides communities that have a racino or Video Lottery Terminal facility, like the Finger Lakes Race Track in Farmington, with funding for their infrastructure needs. 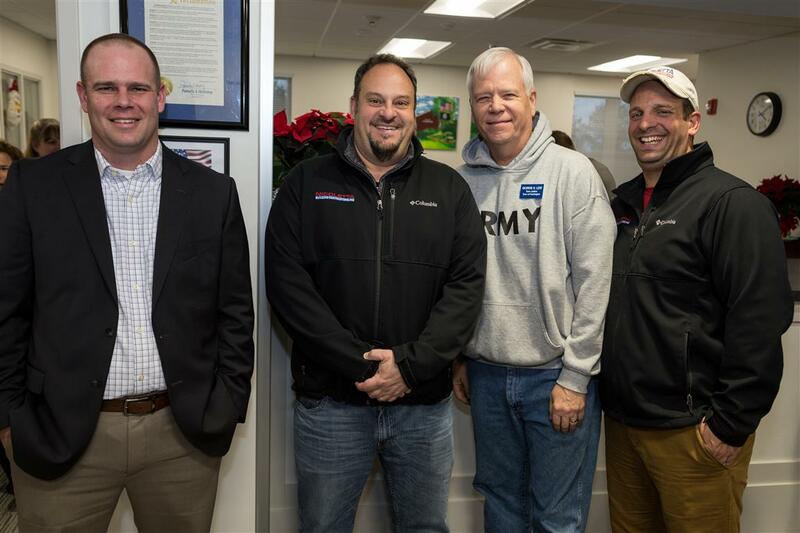 “As the architect and engineer working with the Town of Farmington for a number of years, MRB Group is deeply rooted here. 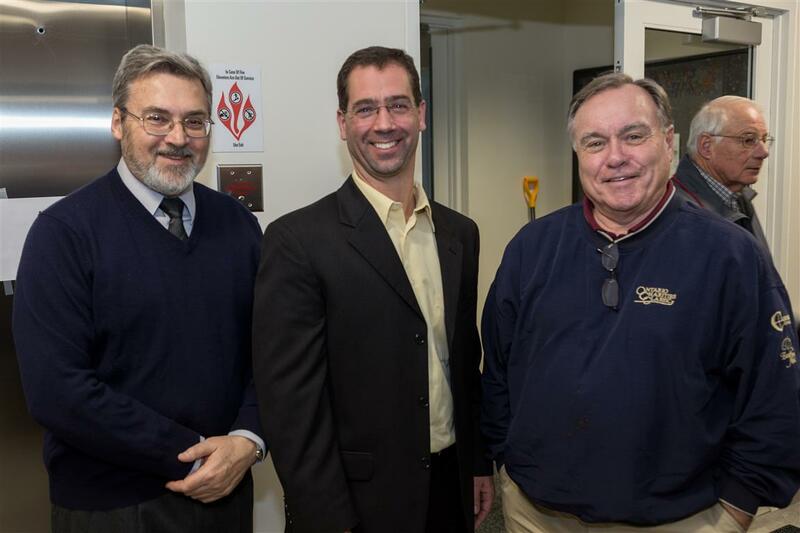 We care about the success of the community,” said Ryan T. Colvin, President of MRB Group. Located on County Road 8, just south of the New York State Thruway, the 13,000 square-foot building hasn’t changed much on the exterior. Within the structure, however, the space was reconfigured to maximize efficiency, providing an addition that harmoniously blends with the original structure. According to Scott Bova, Architecture Department Head who leads MRB Group’s design team, the goal was to expand and modernize the existing building to adequately meet the needs of the Town and serve the community for years to come. To accomplish this, the design placed all the Town’s services and staff on the main level for convenience, efficiency and accessibility. With both the population growth and number of industries locating themselves in Farmington, it was imperative to provide a facility that reflects the character of the progressive Farmington community – not only a great place to live, but a sustainable place to do business.